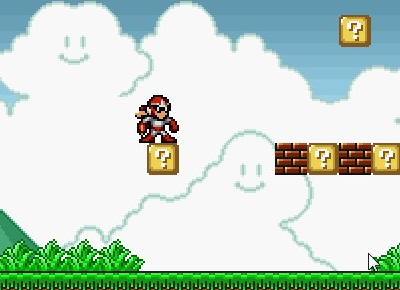 Super Mario Bros. Crossover is a fan game that recreates the original Super Mario Bros. and allows you to play it as characters from other games all on your browser! With the latest version users can now play as Luigi and Bass from the Mega Man series. On top of this, they have also updated the game to have multiple graphical options (SMB3, SNES, Gameboy, or a mixture). Take a look at the trailer below to get a better idea of what this is about and follow the source for the game! This entry was posted in Games and tagged Bass, Bill Rizer, Dr Wily, link, Luigi, Mario, Mega Man, protoman, Ryu Hayabusa, Samus Aran, Simon Belmont, SOPHIA III, Super Mario Bros Crossover on February 9, 2012 by David W.